This book is unbelievably INCREDIBLE. I will not be able to adequately express how much I enjoyed it. I urge you to buy it, read it, and be amazed by the storytelling ability of author Kristy Cambron. To be honest, when I request books to review, I ALWAYS choose books I know I will enjoy. Because of the heavy subject matter, I felt great trepidation in selecting this book. It’s about the Holocaust. Could there be a more serious and emotion provoking subject matter? Kristy Cambron has created a historical fiction masterpiece. I am so thankful I chose this book to read. I would easily rank Kristy Cambron with the greats like Francine Rivers. I will not give anyway of the plot because that would be criminal. 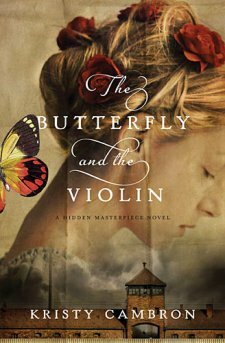 In short, The Butterfly and the Violin, is the first book in Kristy Cambron’s debut series. Art dealer Sera James is searching for a portrait she saw years ago in a gallery. The painting is of a beautiful violinist with her hair shaved and a numbered tattoo on her arm. This book is about the story the painting tells, and the impact the story has on Sera James. While the book moves back and forth through time, I never felt confused or unable to follow along. Author Kristy Cambron writes with clarity and authority on her subject matter. Even though this book is classified as Historical Christian Romance, anyone, regardless of their reading preference, will certainly love this story. I could go on and on! 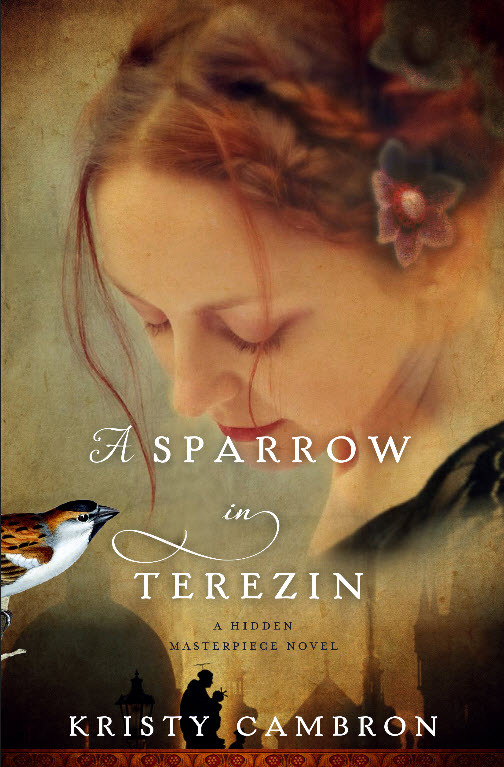 Because I loved this book so much, I find myself anticipating the release of the second book in this series, A Sparrow in Terezin, available April 2015. Not many book releases make it to my calendar! This one certainly has. I was given a complimentary copy of The Butterfly and the Violin from the publisher and BookLookBloggers in exchange for an honest review. All opinions are mine and I have not been compensated other than the joy I received from reading this book.